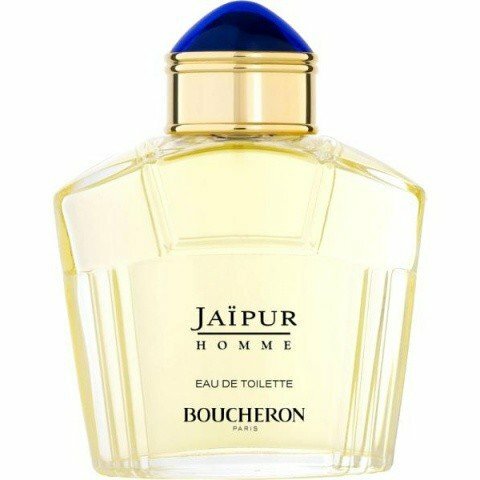 Jaïpur Homme (Eau de Toilette) is a popular perfume by Boucheron for men and was released in 1998. The scent is spicy-oriental. The longevity is above-average. It is being marketed by Inter Parfums. Jaipur Homme is a beautiful hidden, and perfectly cut perfume diamond made by Annick Menardo. Annick Menardo is one of my favorite perfumers. Her every perfume tells a story, and Jaipur is a fairy tale. Almost too good to be true. Jaipur opens up with soft Indian citrus fruits and then cardamom. The sunny Oriental refreshment is soon followed by cinnamon storm with benzoin lightings. Carnation in the middle gives some serious old school vibe, while rose and jasmine a fragile romantic heart. Tonka and vanilla are both responsible for the almost gourmand sweetness, but never becoming a true gourmand. I also feel the heliotrope which always livens up vanilla heavyweight perfumes. Behind this benzoin wall I sense some apricot and tobacco Southern sweetness. Jaipur shares some similarities with Givenchy Pi, but while Pi is a good scent Jaipur is a great perfume. Additionally, I sense the same benzoin theme shared with Menardo's Body Kouros. At the beginning Jaipur does possess some good old school qualities, associated with wealth and power. Oriental, but very clean (Nivea cream accord!!). Soon, it becomes more personal, gentle and balmy. Beautifully structured from top to base. Like it was covered with virtual star dust. Great idea materialized in Oriental golden drops. Often we look for something great on far more expensive places. No need, while Jaipur is here. In the example of Jaipur, useless is a classic designer / niche dichotomy. A spicy, floral powder bomb. Well-composed, but take the glowing reviews with a grain of salt. I find this extremely powdery, formal, and opulent to the point that I'm not comfortable wearing it. It also smells very feminine to my nose, particularly concerning the use of florals and their relation to the powder. If you love a good floriental, this will be right up your alley. However, while people rave about the beautiful vanilla dry down (especially in the EDP), keep in mind these other things I just mentioned before buying it blindly. Good fragrance but totally not my style and I think the casual, younger man may not like this at all. The EDP is dense, rich and more focused on vanilla. The EDT is spicier, lighter, develops more, and delivers a brighter heliotrope. In my opinion, it's much more interesting, and maybe even a bit more masculine. 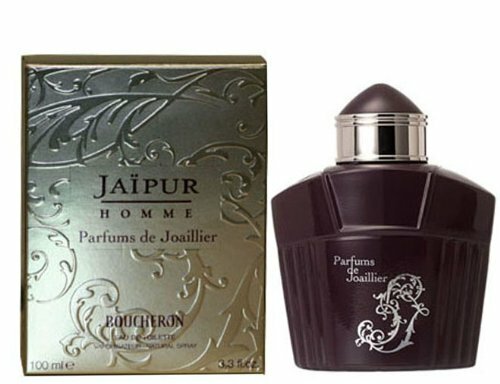 For a long time I was not interested in oriental fragrances, until I met Boucheron Jaipur. It is warm and sweet. The "citrus" opening is discreet, then the spices (cinnamon !) and resin are durably in the foreground without being agressive. There is a background of floral and woody notes. It is oriental but without "pepper", it remains highly civilized (Jaipur, not the jungle). Longevity and sillage are really good in the EDT and excellent in the EDP. If you want something original for next Fall and Winter, try this one. It will warm you up ! Sweet and elegant, that's a must have for oriental lovers. Suitable for colder days or nights. It remembers YSL Opium but less spicy. The fragrance is basically composed by some spices and some herbs very well blended with vanilla and benzoin at the base. Great lasting power and projection. 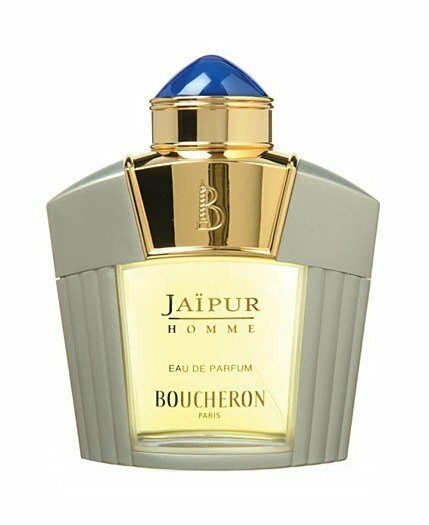 I had never heard of Boucheron before i really got into fragrances. More or less i forced myself to be introduced to it, because i knew that Annick Menardo had created this one. I was under the assumption that this would be special, and boy was i entirely correct. Jaipur is sweet, but not candy-like in any way shape or form. It's woody without being dusty or irritating, and spicy without muting the other notes. A true work of art, and because of this scent i will be looking further into Boucheron. I have said it before, and i'll say it again. Annick Menardo is the master of refined sweet fragrances (body kouros, Xeryus rouge, LLAM,Fuel for life). Not regal enough to be a "dress up" only fragrance, and too well made to be a strictly casual creation. Jaipur, in my opinion, is great for a dinner, work or while hanging out with friends and family. Is interesting, there is lime there no doubt, i find it hard to ignore once my nose latches onto it. Margarita esque, the lime in this composition almost has a "soaked in booze" smell to it. Cardamom in the top notes are very interesting, one doesn't often see them there, rather in the middle and base. By doing it this way i feel like there is much more character from the beginning (don't get this confused with being "front loaded"). Lemon and bergamot are clearly included in the top to cut it a bit, and to clean things up. Don't want things getting too bold too quickly! After sifting through a FOG of rich carnation, one may be able to start differentiating the middle of this fragrance. To sidetrack a second, i believe that the carnation in this fragrance is what gives it it's "fancy" qualities. Powdery jasmine co-operates together with cinnamon to sort of create a "pollen dusted earthy spice" accord. Very interesting and unique. One will also find rose, wich is paired perfectly with the strong carnation. Moist, innocent and sweet, rose makes up for many other notes rudeness. Sunny, inviting patchouli is there to greet you warmly at the dry down. Strong, but not obnoxious the patchouli performs as a "binder" of sorts for the base, allowing all of the other accords a floor to stand on. Once ones nose smells past the patchouli the earthy, sweet tonka beans are thrown onto the soft wet sand to bake in the sun. Benzoin crystals are what add a soft of "at the beach" tone to this piece. I imagine a flower shop on the boardwalk. It may be the combination of the benzoin and cedar, i'm not too sure.